While saving and reusing IT assets is valuable even for a single developer or an application owner, reuse becomes a game changer when users across and beyond the organization are enabled through reuse. In order to accomplish broad reuse, IT assets such as APIs must be created with the consumer in mind, and once created, they must be easy to save, share, discover and deploy. This is what we offer with our latest release. With this model of creating assets for consumption and reuse, not only can you ensure consistency in the way systems are accessed and connected, but you can also enable new groups of users to become self-sufficient with integration through these assets or APIs. The benefit of this is that you can do more, faster. With this release, we are laying a strong foundation that makes saving, sharing, discovering and reusing IT assets easy for users across the organization. This means reuse is no longer an option, but the obvious path for users. We have accomplished the above in a few ways. In addition to what we released in July, we are further enhancing Anypoint Exchange by bringing API portal capabilities into it. Now, there is a single place to manage and share IT assets with users––whether internal or external. 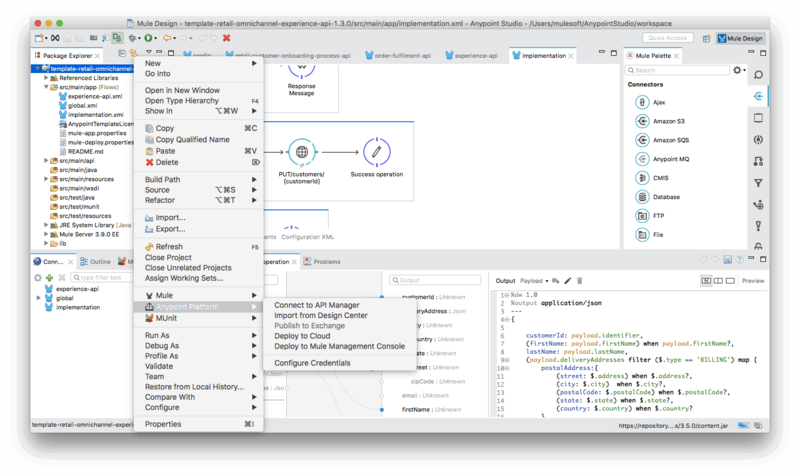 API Console, mocking service, and API Notebook are now embedded in Anypoint Exchange––providing an interactive experience for API consumers discovering APIs within Exchange. The release also provides a simplified workflow for managing APIs through their lifecycle, including the ability to quickly promote APIs to different environments. Let’s go through the experience of creating a new API – from development to production – to highlight the new capabilities available with the July and November releases. To take an API through its full lifecycle, let’s design, build, deploy, manage and share it so that it can be consumed by others. 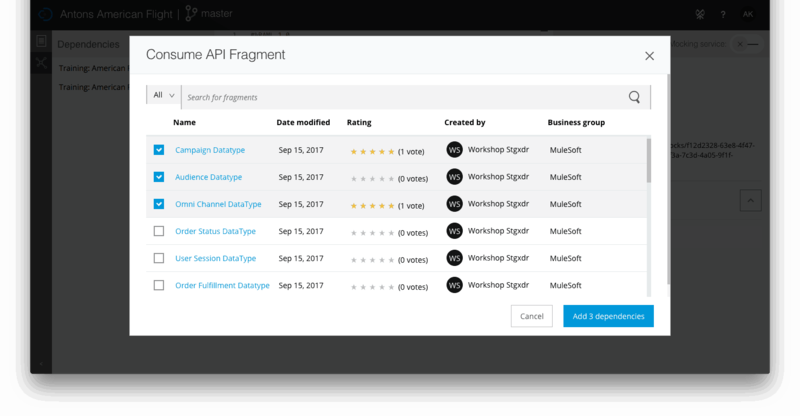 By leveraging API fragments, you can ensure consistency in the design of APIs throughout your organization, while also building the APIs faster. Once you’ve implemented and deployed the API, you can promote it with a wizard-based UI; this removes the need for copy-pasting API specs or reapplying SLAs, policies, alerts, and configurations. 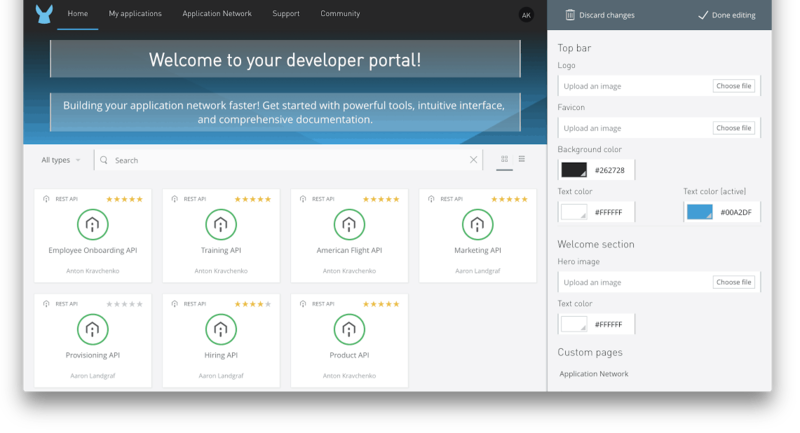 When you want to share APIs with internal or external users, you can simply go to Anypoint Exchange, where you can create and customize a portal for your APIs in minutes. Let’s go through the above steps in detail. You have been asked to produce an API that will power a new service. After reviewing the requirements and working with relevant stakeholders, you are ready to start designing the API. To simplify this process, Anypoint Design Center provides capabilities for API fragment reuse, branching, and versioning. Instead of starting from scratch, simply search for an API fragment and add it to your project. Once it’s ready to share, one-click save it into Exchange. Open API specification (OAS) and RESTful API Modeling Language (RAML) specifications are natively supported in Anypoint Exchange. Once you upload an OAS or RAML spec into Exchange, it’ll automatically generate the API documentation. Within Exchange, you can turn on the mocking service, which allows you to provide any user with access to test your API without implementing the API. Additionally, you can enrich the description of your API within Exchange with images, diagrams, and additional information––giving users all the information they need in one place. Once the API is ready for implementation, import your API spec from Anypoint Exchange into Anypoint Studio. Within Studio, use APIkit to scaffold your API. You can use the automatically generated flow or continue editing the flow by dragging in other assets from the palette or Exchange. When the API implementation is complete, publish your project into Exchange so that it can be shared with other teams for security and performance reviews. With all of your assets – the API spec and the Mule application with your API implementation – stored in Anypoint Exchange, it’s simple to deploy them using Anypoint Management Center. Simply select the API from Exchange, and deploy your API proxy to the appropriate environment. Within Management Center, you can easily promote APIs from one environment to another. 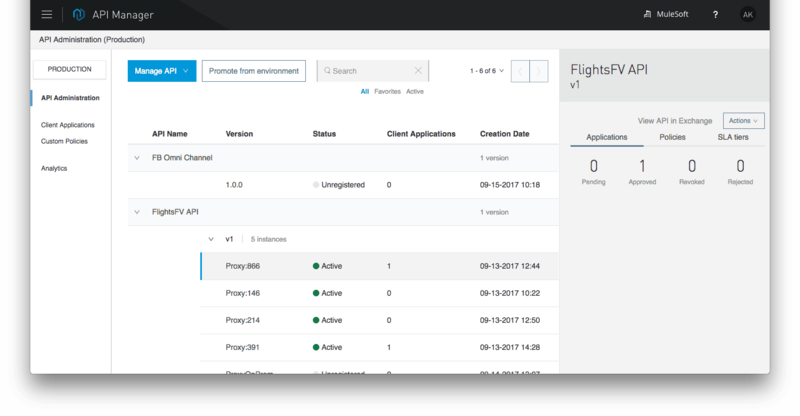 Promote your API proxy to a selected environment and choose which configuration you want to promote––from policies, SLA tiers, endpoint configuration and alerts. As you promote APIs from one environment to another, Exchange will automatically index the deployment data, storing all relevant data in one place and providing visibility into how the API is being used holistically. With APIs available in Anypoint Exchange, anyone within your organization can reuse them for their projects within the flow designer in Anypoint Design Center or Anypoint Studio. 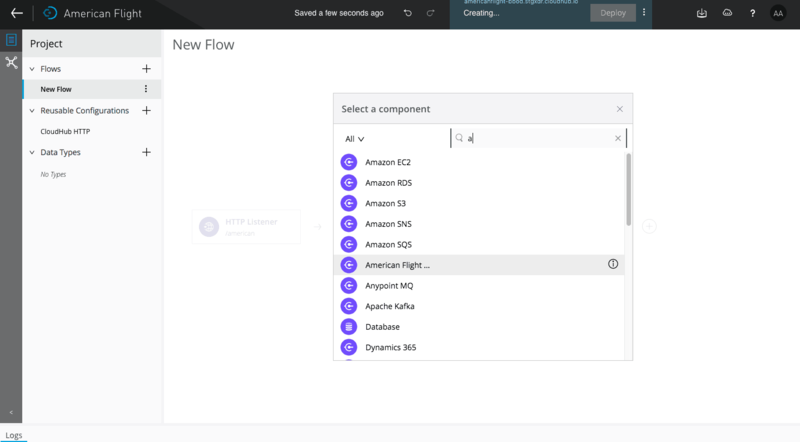 The web-based flow designer is perfect for those who are new to integration and want a simplified tool to quickly solve their use case. It also provides a guided integration experience with simple drag-and-drop data transformation capabilities, auto-population of reusable assets, and visual error identification to help new users accomplish their use cases quickly. By leveraging reusable APIs, line of business users can even accomplish their own uses cases, including data bulk upload, synchronization, aggregation, or orchestration. Once you’re ready to share your API beyond those within your organization, specify which APIs you want to share, as well as their version, and publish them to a portal within Anypoint Exchange. You can create your portal and customize it to fit your brand with just a few clicks. We hope you enjoy this release! Please leave us any questions or feedback. We’d love to hear from you!